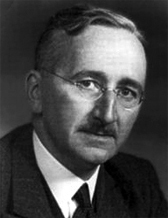 I am not so sure that “the bulk of Hayek’s ideas have either been ignored or mischaracterized by modern economic research”, or maybe this is just my distant from macro view. My key thesis is that: first, they are not ignored, they are deeply integrated in how we think about economics; second, it might seem like what modern econ is doing is far away, but thats just because we are doing easy stuff to maybe do hard later; and third, modern research tries to get at those things, albeit imperfectly. I might be misreading Hayek, but the problem defined in quote is what I was told in my first class in economics ever. Everyone understands that if we know everything, this is just a question of computing. However, reality is different, not everyone has a cloud to run. Thats why each individual takes as inputs only prices. Through his actions, individual communicates relevant part of his information to the market, and that exactly why markets are better than Gosplan (thanks to first welfare theorem and historic results). I do not think your interpretation of the quote is entirely correct, it is not about individuals not knowing their own preferences or endowments, it is abou them not knowing those of others. Cool quote, totally agree. You explanation here reflects that there is not much of a wedge between two problems in first section. As for transition is being more interesting than endpoint, I think many agree with that, and it is just so much harder to do. I mean, we have even done transition paths in Ohanian’s class, there are experiments on price convergence over time game theory settings, or papers in dynamic IO (though very rare), like WP “Just Startring Out”. 3. The Meaning of competition. Not sure about macro, but IO is all about imperfect competition and firm decisions. For dynamics, again, see “Just Starting Out”. Dynamics in IO is very tough, but many agree thats where we should be moving, and we slowly are. Again, let economists first do easy steps, and then build on. Let me know where I am wrong. Good comment and you’re right I’m coming at this from a more macro point of view so maybe IO is better on these points. On the first point, I don’t think I implied that individuals don’t know their own preferences (at least I didn’t intend to). You’re absolutely correct that determining the preferences and the local knowledge of others is exactly the relevant problem. But I don’t know of many theoretical macro papers written in the last 30 years that don’t begin by defining consumers’ preferences and a production function and then assuming that these are known to all agents. As for the transition paths some macroeconomic papers study, the economy is still in equilibrium along the path as it converges to its steady state so there isn’t really any role for entrepreneurs to convey information through the price system. Leijonhufvud has a good quote where he says “In rational expectations models, people do not learn about changing relative scarcities from price movements; price movements merely reflect what they have already learned more directly.” If prices conveyed any relevant information to agents, they would not be equilibrium prices (in most models). Even in imperfect competition models, there is little room for the discovery process that is so important for Hayek. The “Just Starting Out” paper is more promising and is exactly the kind of analysis I hope we move towards, but it’s brand new and I wouldn’t say it reflects what most of the profession is doing. Easy steps are fine as long as they’re going the right direction. I hope you’re right that economics is moving towards Hayek, but I think the last 40 or so years have been more of a detour.